Research demonstrates that acupuncture plus herbs outperform hormone drugs for the treatment of irregular menstruation. A study conducted at the People’s Hospital of Zhangwu County (Liaoning) tested the efficacy of a modified version of the herbal formula Xiao Yao San combined with acupuncture. In a controlled clinical trial, the results of the combined acupuncture and herbal medicine therapy were compared with patients receiving hormonal medications. Patients admitted to the study had a diagnosis of irregular menstruation with a Chinese medicine differential diagnosis of liver qi depression and spleen deficiency. The drug therapy group achieved an 80% total effective rate. The acupuncture plus herbs group achieved a 92% total effective rate. Women in the acupuncture plus herbs group experienced significantly fewer adverse effects than those in the hormone medication group (p<0.05), indicating that the Chinese medicine treatment protocol has a high efficacy rate and is also well-tolerated by patients. Clinical efficacy was determined as follows. Patients whose menstrual cycles were normalized and experienced a complete resolution of symptoms such as breast pain and dizziness were classified as cured. 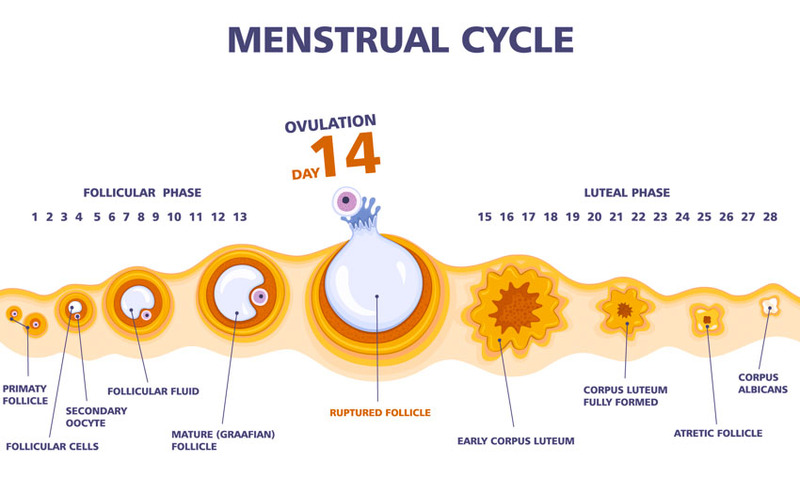 For patients whose menstrual cycles were normalized and experienced a significant reduction in symptoms, the treatment was classified as markedly effective. For patients whose menstrual symptoms were somewhat improved, the treatment was classified as effective. For patients whose menstrual cycles were not normalized and had no improvement in symptoms such as breast pain and dizziness, the treatment was classified as ineffective. The breakdown of the numbers shows levels of improvement. The cured, markedly effective, and effective cases were added together to give the total effective rates for each group. In the hormone drug therapy group, there were 8 cured, 15 markedly effective, 17 effective, and 10 ineffective cases, yielding a total effective rate of 80%. In the acupuncture group, there were 10 cured, 20 markedly effective, 16 effective, and 4 ineffective cases, yielding a total effective rate of 92%. The difference in effective rates between the two groups was statistically significant (p<0.05). A total of 100 women were recruited for the study and were randomly assigned to the acupuncture group (n=50) or the medication group (n=50). The participants in the acupuncture group were ages 21–39 years (mean age 28.6) and the participants in the medication group were ages 20–38 years (mean age 29.1). All participants received a TCM (Traditional Chinese Medicine) diagnosis of menstrual irregularity due to liver qi depression and spleen deficiency with symptoms including dark red menstrual blood, significant menstrual clotting, fatigue, breast swelling and tenderness, hypochondriac region pain, dizziness, and vertigo. As well as meeting the above diagnostic criteria, the women were required to give informed consent to participate in the study. Women were excluded from the study if they suffered from cardiovascular or cerebrovascular disease, liver or kidney dysfunction, psychological disorders, or menstrual irregularity due to reproductive organ disorders or endocrine disorders including PCOS, hyperthyroidism, and adrenal hyperplasia. Women in the medication group were treated with tablets containing ethinylestradiol and cyproterone acetate. The drug is an oral hormonal contraceptive commonly used in the treatment of menstrual irregularity. Ethinylestradiol is a form of estrogen and cyproterone acetate is an antiandrogen and progestin drug. Medication was taken daily, commencing on day five of the menstrual cycle, with 21 days of consecutive treatment making up one course. A total of three courses of medication were administered. Herbs were administered daily, split into two doses, to be taken in the morning and evening. For patients with liver depression and qi stagnation, Xiang Fu, Yu Jin, and Chen Pi were added. For patients with blood deficiency, Shu Di Huang was added. For patients with liver depression transforming into fire, Mu Dan Pi and Zhi Zi were added. The results of this study indicate that acupuncture and herbs offer significantly greater relief from menstrual irregularity and its associated symptoms when compared with conventional oral hormonal treatments. The treatment is well-tolerated and has a low risk of adverse effects. For more information, contact your local, licensed acupuncturist. 1. Peng Dan, Du Anyang (2018) “Therapeutic effect of Xiao Yao San combined with acupuncture on patients with menstrual irregularity due to liver depression and spleen deficiency” World’s Latest Medical Information Digest Vol. 18 (82) pp. 145.